1) A Best of Industry award means your the best and you can prove it! 2) Your mom would be proud of you. interviews – the sky is the limit. 5) A best of industry plaque containing your award winning site will look great in your office. 6) The WebAward logo on your site is like receiving the "Good Housekeeping Seal of Approval" for Web development. 7) Your clients and customers will be impressed at your industry recognition and so will your potential clients. 9) If you wait until after may 31st, you’ll have to pay a late fee. 10) If you don’t win, we won’t tell anyone – and you still get the feedback. won’t get anything if you don’t enter! The 10th Annual WebAward competition deadline for entry is May 31st, only one week away, and you can submit your site for review at www.webaward.org. Avoid a late fee by completing your Web site entries before the deadline. WebAward – The award for your award-winning Web site. -> See inside the minds of 1,120 actual online shoppers. They reveal why they abandon carts, and what would make them buy more from you online. Here are the featured articles from our May issue of the Web Marketing Association’s Interactive Briefing Newsletter. Winning an Award is only Half the Battle – Here are some ideas on how to promote your award winning website after you have one an award. exploits the weather to offer visitors hot deals. Every year we get emails from past judges half way through the competition telling us their email address has changed or filters stopped the messages from getting through. If you are a past WebAward judge and have not received our emails inviting you to participate in the 2006 WebAwards, please contact us ASAP as we are finalizing the judging panel. We need your help to spread the word about the WebAward competition. As the premier recognition program for Web site development, we have grown each year because Internet professionals, like yourself, have gotten the word out to other Internet professionals by email, in blogs and even face to face. WebAwards can set the standard of excellence for Web sites in 96 industries. and co-workers about the WebAwards. To reward those who tell others about the WebAwards, this year we are offering a $20 referral bonus per referral for each person who gets someone new to enter the WebAwards. It’s our way of rewarding those who help us the most. Marketing Association as our way to say thank you. by judging, the growth of entries requires us to add new judges each year. Judges are assigned a number of entries to review within a three week time frame beginning June 17th. On my way to ad:tech in San Francisco, I read MarketingSherpa’s brand-new E-commerce Benchmark Guide. I am a big fan of MarketingSherpa’s work and try to get everything they publish on Web development. We were able to get a 22-page executive summary of MarketingSherpa’s E-commerce Benchmark Guide for the readers of Interactive Briefing. You can read more about it in the “For Our readers” section of our newsletter. benchmark your progress. We hope everyone takes advantage of this program. Web Marketing Association members can get a FREE Buyer Pass, or save $100 on a full-conference pass. Sign up online at http://www.inboxevent.com and use Customer Code WMA6. 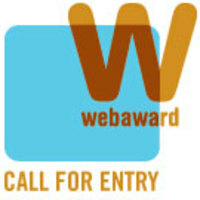 call for judges for its 10th annual international WebAward competition. please use our Judges Nomination Form. deadline for entry is May 31, 2006.
state-of-the-art in Website development and technology. can be found at www.webaward.org. The Web Marketing Association is pleased to announce the call for judges for its 10th annual international WebAward competition. The WebAwards is the standards-defining competition that sets industry benchmarks based on the seven criteria of a successful Web site. Judges will consist of a select group of Internet professionals who have direct experience designing and managing Web sites, including members of the media, interactive creative directors, site designers, content providers and webmasters – with an in-depth understanding of the current state-of-the-art in Web site development and technology. Judging for the 2006 WebAwards will take place in June through August, with winners announced in September. Mark Kingdon, CEO of Organic, Inc. has been selected to lead the judging panel this year. Past judges have included top executives from leading organizations such as Ogilvy Interactive, Saatchi & Saatchi, Blattner Brunner, Comedy Central, Sun Microsystems, Refinery, Euro RSCG, EPB Interactive, New York Post Interactive, The Cincinnati Enquirer, J. Walter Thompson, Xerox, Art Institute of Pittsburgh, Modem Media, and Answerthink. The Web Marketing Association is now accepting entries for the 10th annual WebAward competition. The WebAwards evaluate Web sites in 96 industries and defines benchmarks based on the seven essential criteria of successful Website development. The deadline for entry is May 31, 2006. Internet World is the UK’s largest B2B internet event. Directors from MSN, e-Bay, Lastminute.com, Virgin and more delivering keynote presentations. Supported by Net Communities and endorsed by The Guardian, Revolution, Marketing, e-Consultancy, mad.co.uk and others. go until the deadline for entries. past winners and this year’s entry form can be found at www.webaward.org.